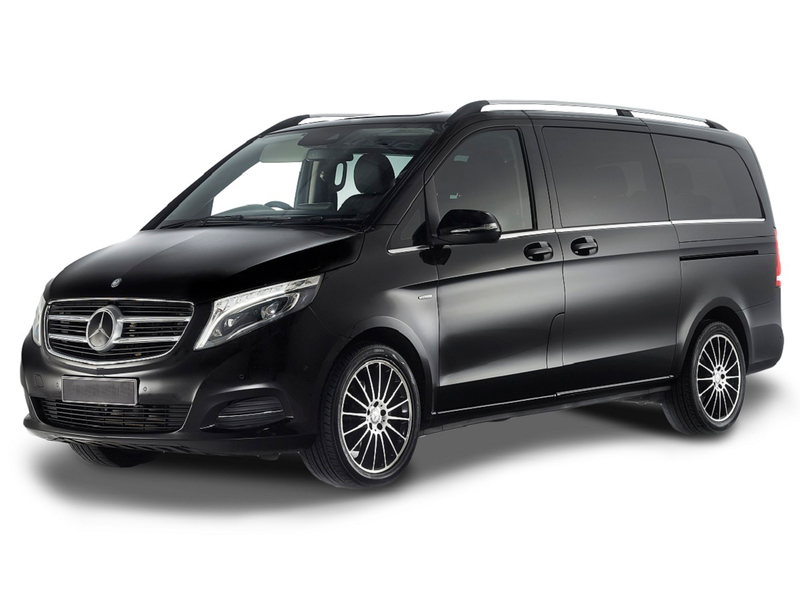 If you’re looking for a chauffeured vehicle to fit all of your passengers and luggage, the Mercedes V250 hire car is a great option for you. This vehicle provides space for up to eight people (including your chauffeur), and room for 5 large suitcases. The seats in this vehicle are fantastic for large groups because they can turn to face each other, making it easy to interact with your fellow passengers. The agility control present in this vehicle allows your ride to be smooth and fun, as the suspension and damping system provides a balanced drive for all passengers. Not to mention, this vehicle is loaded with safety features so that you get to your destination safely and with peace of mind. The stylish interior and exterior will help you feel like royalty on any journey, and the semi-automatic climate control will ensure that all passengers have a comfortable travel environment. With our chauffeur hire, you’ll never have to worry about the condition of your rental. We clean and detail all of our vehicles to present it to you in the highest-quality. The only thing you’ll have to do is enjoy the ride. Let our Mercedes chauffeurs get you from A to B with our premium Mercedes V250 hire car services today.